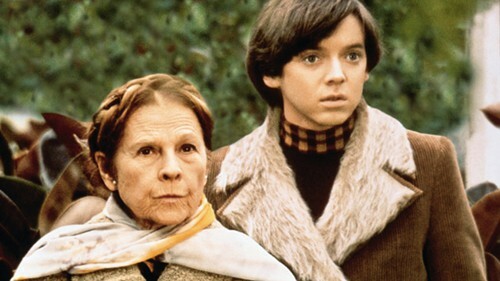 The original indie quirk movie, director Hal Ashby’s HAROLD AND MAUDE has been re-issued this week on DVD and Blu-ray by the Criterion Collection, whose boutique home video releases are little artifacts of film goodness in and of themselves. The special edition features new digital restoration, a remastered soundtrack and a booklet of archival interviews and essays. Watching the movie again for the first time in 20 years, I must admit my first thought was, “Hey! Wes Anderson made a movie in 1971!” Anderson has long acknowledged Ashby as an influence, but the connection is never more conspicuous than in the first darkly comic scenes of Harold and Maude. Bud Cort plays young Harold, adrift at age 19 among the meaningless riches of his wealthy family. Harold is obsessed by death, and likes to stage elaborate fake suicides to get the attention of his distracted, society-obsessed mother. (“Are all these suicides for your mother’s benefit?” a shrink asks Harold. “No,” he replies. “I wouldn’t say benefit. 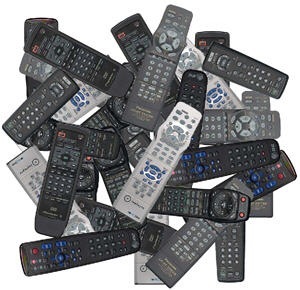 When Microsoft unveiled its revamped Dashboard interface for the Xbox 360 late last year, it posed an intriguing question: Are we soon to see the death of the living room remote control? By further integrating the voice and gesture recognition systems of the Xbox 360 Kinect system, Microsoft took the first tentative steps toward eliminating the remote control entirely. The Kinect system, which uses a camera and microphone to track user motion and sound, had already been leveraged heavily for game titles. But by splicing it with the central Xbox user interface, Kinect could go a step further. A universal remote control … without the remote control. Console systems aren’t just for games anymore. Along with its competitors, the Nintendo Wii and the PlayStation 3, the Xbox 360 has been trying to leverage its Internet connectivity features and shed its reputation as just a video game platform. It would much rather you think of it as a central hub for all your home entertainment needs — TV, DVD, on-demand movies, streaming music, chat and social media. And yes, on occasion, video games. The intent is clear. By putting all your home entertainment options into one place, and providing a controller-less interface, the Xbox hopes to change the living room dynamic in a fundamental way. But does it work? And maybe more importantly — do you really want your TV looking and listening back at you? 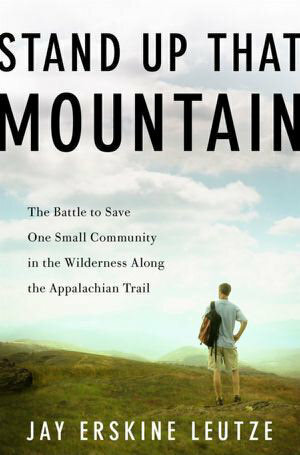 In “Stand Up That Mountain: The Battle to Save One Small Community in the Wilderness Along the Appalachian Trail,” author and attorney Jay Leutze chronicles a five-year struggle to shut down an illegal mining operation near his home in the mountains of western North Carolina. Leutze and his grass-roots coalition would eventually take the case to the state’s highest courts and prevent the destruction of a treasured portion of unspoiled land near the Appalachian Trail. Leutze recently spoke about writing, navigating the legal system and the connection between conservation work and good storytelling. Q: You worked on what would come to be known as the Putnam mine case for almost five years, essentially as a volunteer. Did you have other work at that time, any income for the legal bills that were mounting? No. I’d had a job after law school and saved money. So I had just burrowed down in the mountain and reduced my expenses as much as I could. I began living this very simple life. Two years after Jay Leutze earned his law degree from UNC-Chapel Hill in 1990, he made a decision. Rather than pursue a hectic career in the city, Leutze packed his bags and moved into his family’s summer cabin in Western North Carolina’s remote Appalachians. Leutze spent eight years hiking, fishing and writing. His life of quiet deliberation came to an end when he got a call from a 14-year-old neighbor, Ashley Cook, and her aunt Ollie. A mining company had set up shop behind their house and was planning to “tear down the mountain.” Leutze was the only lawyer around. Was the mining operation legal? Could it be stopped? Would Leutze help? That phone call launched a fierce legal battle over the fate of Belview Mountain that would last almost five years, rally a small army of activists and climb to the state’s highest court. In the end, Leutze and a grassroots coalition of conservation organizations would set groundbreaking legal precedent concerning revocation of mining permits. The story of hip-hop – from its birth in New York City to its current status as global cultural phenomenon – is inherently compelling. Within a decade, from the late ’70s to the late ’80s, hip-hop rose from total obscurity to become a vital force in American popular music. Like rock-and-roll before it, hip-hop grew up fast, and its rapid dissemination depended on technological innovations of the day. Significantly, the DJ was a central figure in both musical revolutions. Radio disc jockeys in the 1950s pumped rock-and-roll into the ears of any kid with a transistor and antenna. With hip-hop, the DJ assumed a more central role. Instead of just playing music on turntables, the early pioneers of hip-hop re-purposed the technology, turning playback equipment into a new kind of musical instrument. 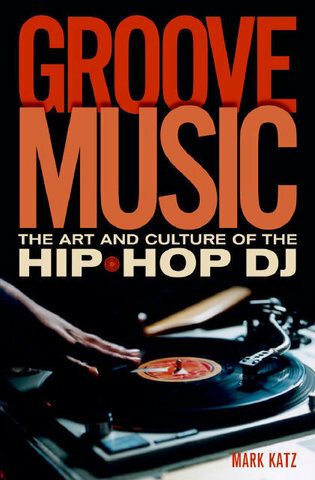 “Groove Music: The Art and Culture of the Hip Hop DJ” is a fascinating exploration of this still-evolving musical form, sometimes referred to as turntablism. Authored by musicologist and amateur DJ Mark Katz, chairman of UNC’s Music Department, “Groove Music” is a kind of mash-up itself. As an academic textbook that’s also intended for a general audience, the book successfully crossfades between rigorous scholarship and accessible storytelling. When “West Side Story” debuted on Broadway in 1957, its story of warring New York City youth gangs had a ripped-from-the-headlines relevance. Juvenile delinquency was a major social issue, and audiences were shocked by the overt references to switchblades, rumbles and marijuana. Such concerns feel quaint today. The national tour of the musical’s most recent Broadway revival – in town through Sunday at the Durham Performing Arts Center – attempts to evoke the edginess of the original by heightening the language, violence and sexuality. A charming and heartfelt comedy, “The Best Exotic Marigold Hotel” gathers seven veteran British actors in a screenplay that can barely contain them. Even at 2-plus hours – relatively long for a comedy – it feels short. There are so many quirks to these characters, so many stories to tell, the film could happily traipse on for another two hours.